The solution to your “dis-ease” might be found within the page of this book. 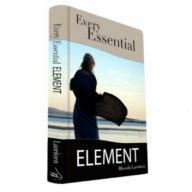 Lean about the missing and vital links that help maintain health, restore wellness and prevent future diseases. Today, despite the advancement in technology, medical science still lags behind as far as the reduction of diseases is concerned. Making matters worse is the resurgence of deadlier forms of diseases whose causes remain unknown, making the ailment irresolvable. Disease management has been directed by the use of synthetic pharmaceutical products and other modalities rather than focusing on the restoration of the health – since healthy individuals do not experience any disease. 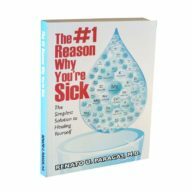 In this book, the author shares with you the two main reasons people acquire disease. The reasons are related to your lifestyle. The choices you make every day determine whether you remain healthy or not. The choice provided here is simple and will soon put you on the road to a healthier life. Renato U. Paragas, M.D. is a practicing medical professional for 3 decades. 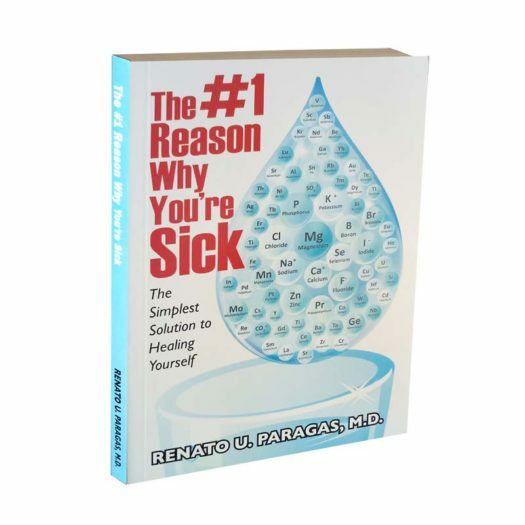 With his distributorship in drinking water systems and mineral supplements, he was able to discover a medical paradigm that through proper hydration and adequate mineral supplementation helps prevent and resolve various diseases.